Begin your adventurous week of discovery a on Tuesday evening at the Spiggie Hotel. As guests and guides become acquainted over dinner this is the perfect time to learn about the islands and life in Shetland. Perched high on the sheer cliffs of Sumburgh Head at the southernmost tip of the Mainland is the lighthouse built by the world famous Stevensons in 1821. 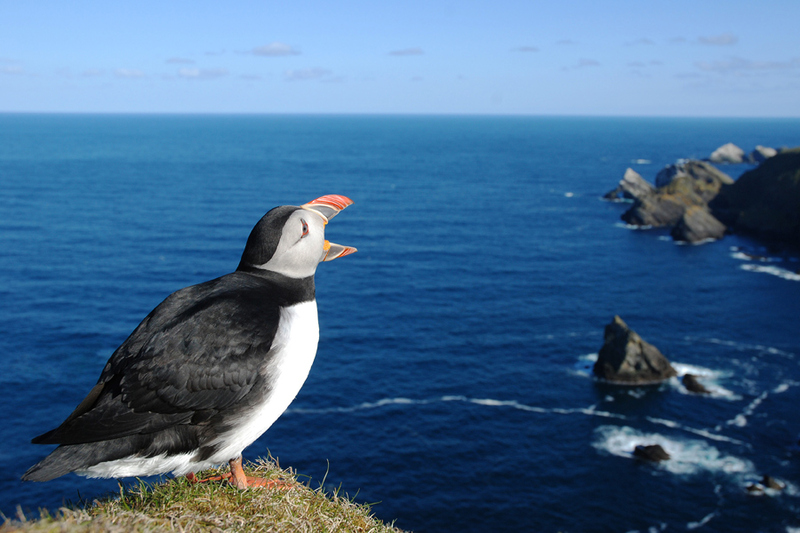 This headland is a spectacular RSPB reserve where we’ll see breeding seabirds, including Fulmars, Kittiwakes, Guillemots, Razorbills and Puffins! 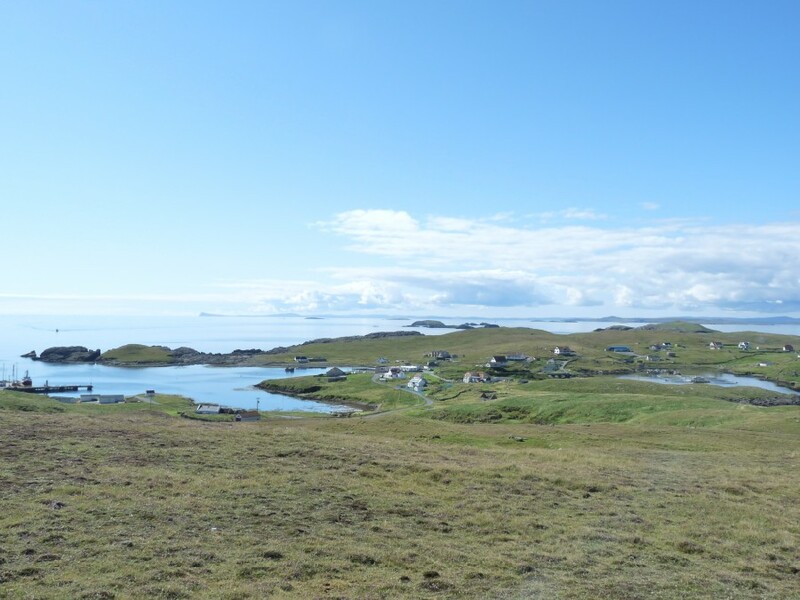 In the afternoon we’ll take the ferry to the Island of Mousa for our second walk of the day to see Common and Grey Seal, Arctic Terns and the best preserved Iron Age broch in existence. Our walk around the Ness will take in magnificent coastal scenery of steep-sided inlets, sea stacks and cliffs with wonderfully folded and banded rocks. 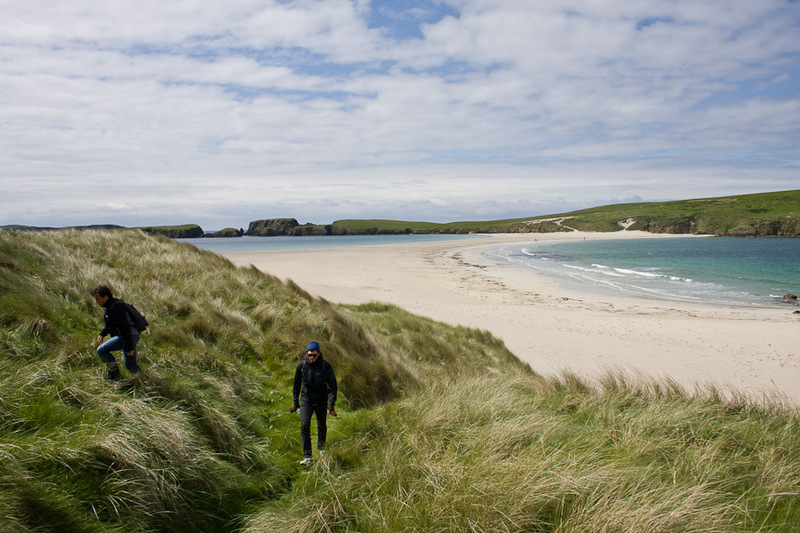 To the south of Ireland is the magnificent St. Ninian’s ‘ayre’ or beach tombolo that we will cross in the afternoon to visit Shetland’s very own ‘treasure island’, where a Pictish silver hoard was found in an ancient Chapel site. Skerries is one of Shetland’s more remote island groups. Watch for porpoises, dolphins and whales on the 90 minute ferry journey.From the narrow harbour guarded by imposing sea stacks our walk takes us along the dramatic coast of Housay and Bruray. Fertile soil makes the islands surprising green with a large variety of wild flowers, and the islands’ fishing heritage is greatly in evidence. 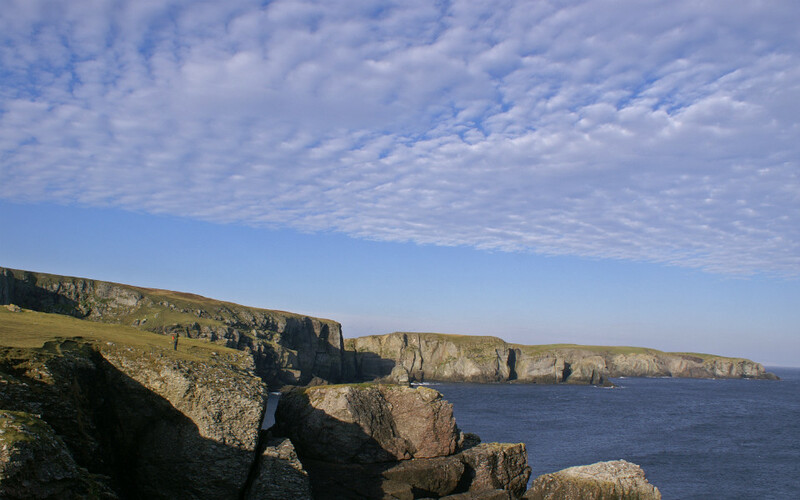 Explore the dramatic landscape of the volcanic peninsula of Esha Ness. 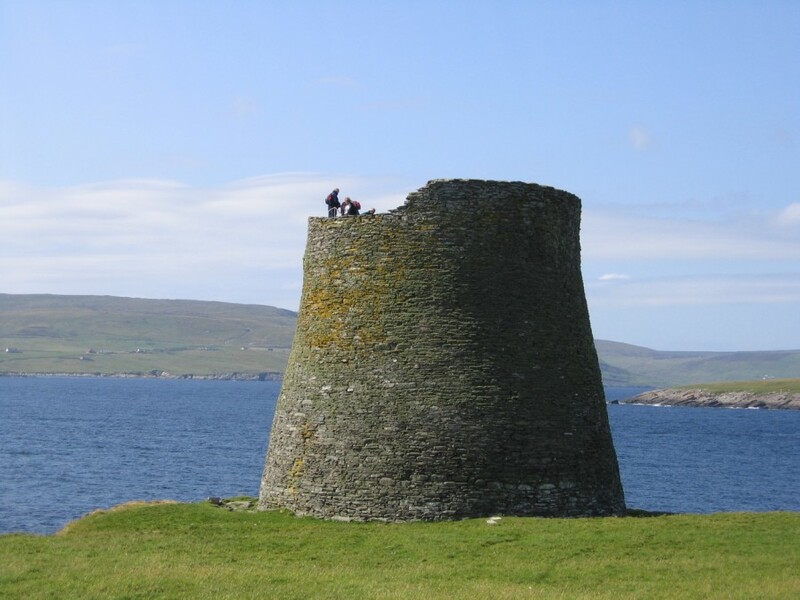 Few places in Shetland can rival Esha Ness, either for scenery or historical interest. 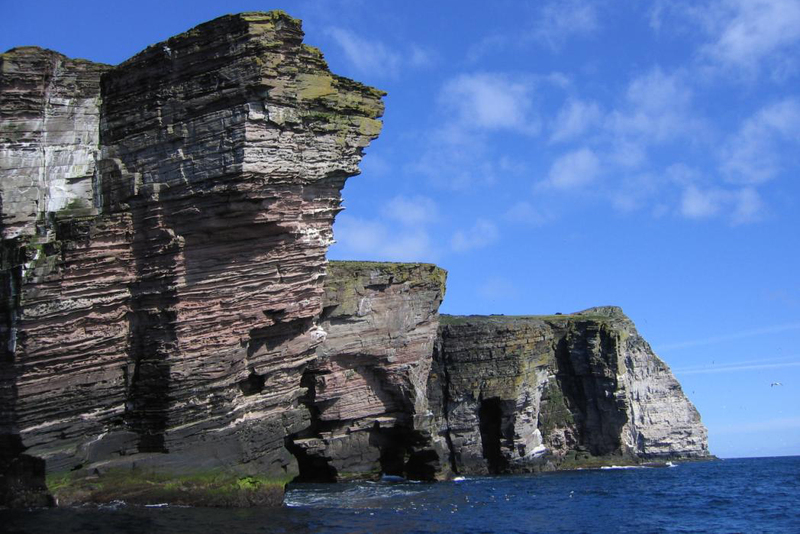 Our walk will take along the flank of an ancient volcano where flows of lava and eruptions of ash have been cut by the Atlantic storms into a myriad of sea-stacks, caves, goes and blow-holes. We’ll explore the Daal of Kirkabister around Burra Ness, where naturalist Hugh Miles shot much of his acclaimed wildlife film ‘On the Track of the Wild Otter’. 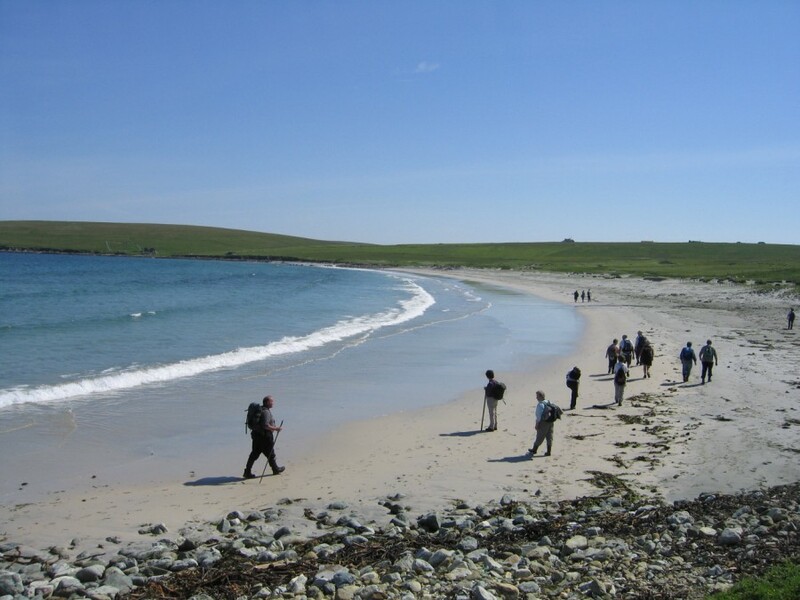 Our second walk will take us along the spectacular coastline of North Yell, from the Memorial to the 1881 haaf fishing disaster of Gloup down onto the beautiful Sands of Breckon. The island of Fetlar is known locally as ‘The garden of Shetland’ and is home to some of the highest densities of moorland breeding birds anywhere in Britain. Nationally important numbers of Whimbrel and the wonderfully evocative Red-throated Diver and good numbers of Arctic Skua, Golden Plover and Dunlin are among the many species which abound. We may even see the island speciality, the Red-necked phalarope. 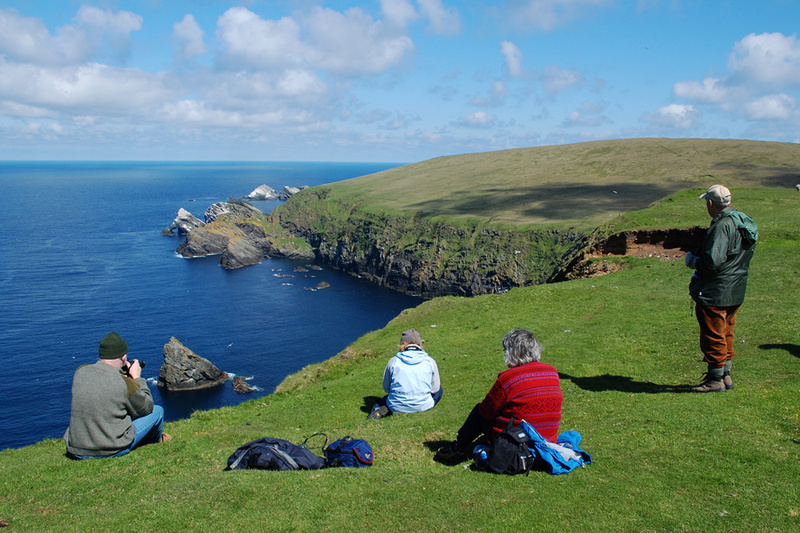 Enjoy one of Unst’s lesser known walks to the remote wild and western coast from Collister to Westing, then we head out onto Hermaness National Nature Reserve for ‘up close and personal’ encounters with Great Skuas, known locally as Bonxies. 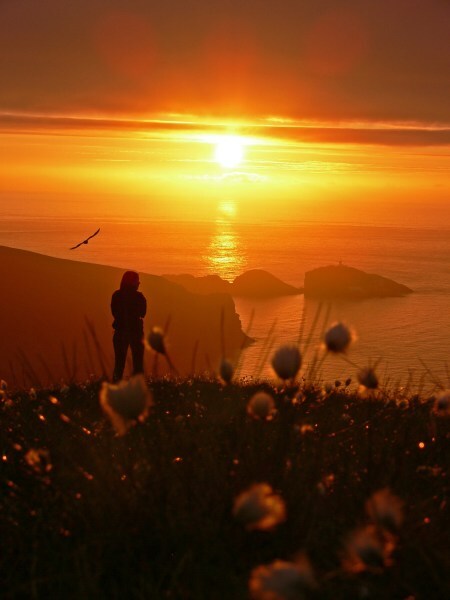 Reaching the spectacular cliffs on the west side of the Reserve, we will be greeted by the Atlantic Puffi, Gannets and breathtaking views Muckle Flugga lighthouse. After breakfast we leave the most northerly Island in the Britain, bound for Sumburgh, where your journey began. You can choose leave Shetland by sea or air or you may like to stay another few days to relax in Shetland before journeying home.